A disabled man has won a Supreme Court case after a woman with a buggy refused to let him use the wheelchair space on a bus. 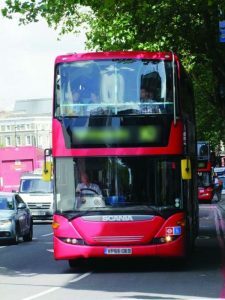 The ruling means that bus drivers may need to do more to assist wheelchair users on-board. Doug Paulley, a wheelchair user, was told he could not get on a bus to Leeds in 2012 when a mum with a buggy refused to move. He argued that FirstGroup’s policy of ‘requesting, not requiring’ was discriminatory against people with disabilities. The Supreme Court appeal was allowed, but with restrictions. The Court ruled that FirstGroup should consider further step to make non-wheelchair users give up wheelchair spaces, depending on the circumstances. Mr Paulley told the BBC: “Who would have thought that five years on I would still being discussing the day I had that problem going across to see my parents for lunch? “It’s been amazing the amount of support I’ve had – disabled people, organisations, lawyers, family, allies. Mr Paulley won an initial case against the travel group, which was then appealed successfully to the Court of Appeal in 2014. It’s hoped that today’s ruling will benefit disabled people using public transport nationwide. Be the first to comment on "Wheelchair user wins Supreme Court bus dispute"